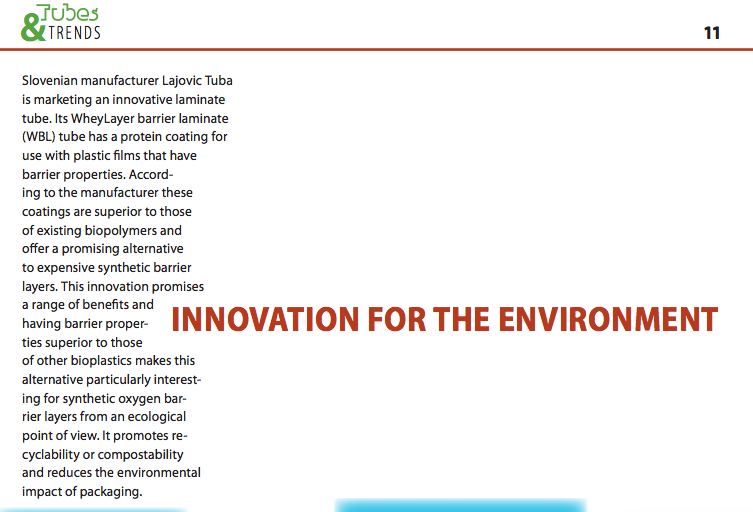 TUBA has participated on the competition for Tube of the year 2014 at ETMA association with the Wheylayer barrier laminate tube. A jury has chosen the best tubes for 2014. They reflect the creativity and innovative capability of the sector and are a good trend indicator.